The latest issue of 3DCreative is out with a feature story on jewelry design. Not just any jewelry design though. 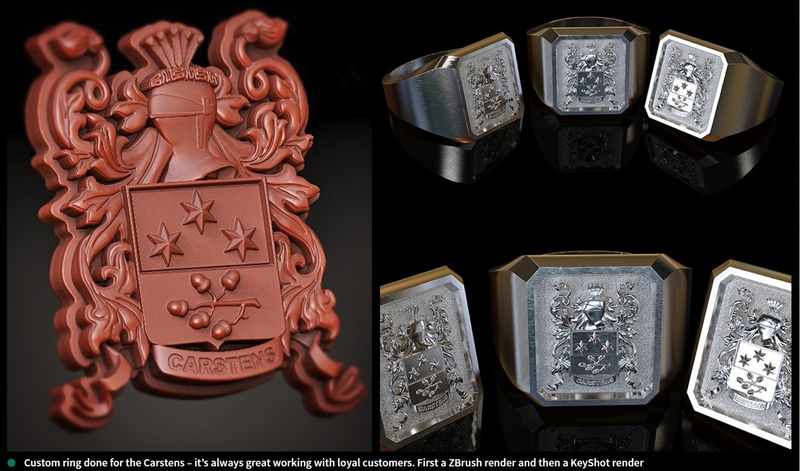 After Ziggy Hentze completed his military service, he discovered a passion for 3D, creating bespoke jewelry in ZBrush. In the article he provides insight into his new career and the tools he uses. He provides some great tips for working with these small works of art and provides images of his process from ZBrush to KeyShot. The renders are beautiful and the story is inspiring to read. You can snag issue 102 of 3D Creative on their site as a download for £2.99 and get a quick look at it via their flash viewer. 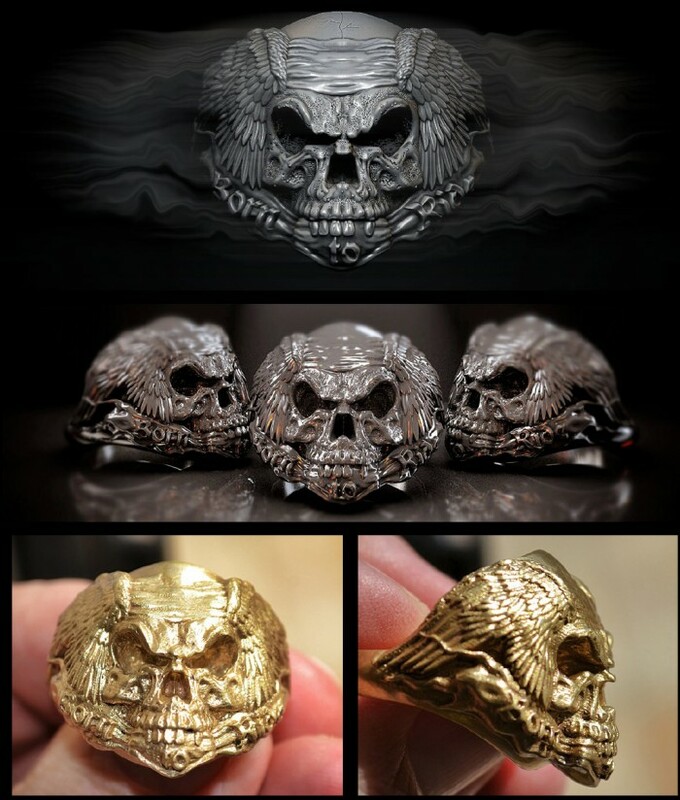 You can see the fabulous one-of-a-kind jewelry that Ziggy creates on his website militaryjewellery.com.